The Tilbury Riverside Project won the The Queen’s Award for Voluntary Service in 2007. The award recognises voluntary services by groups in the community. 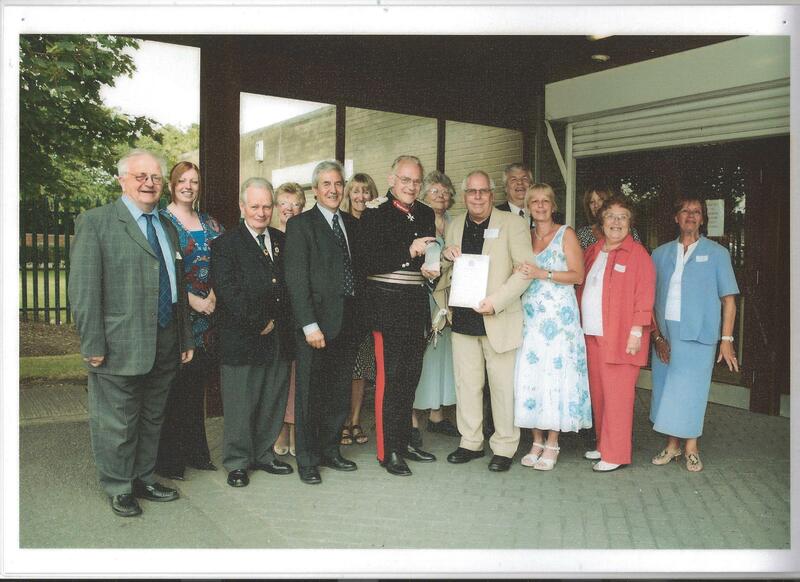 The photo was taken outside the Community Hall in Tilbury with a very proud Peter Hewitt and the Lord Lieutenant of Essex (in uniform) who started the Tilbury Riverside Project 21 years ago. From the left to right is Trevor Martin, Lorna Heffron, Mike Ostler, Joan Gibson, Ron Curtis, Sue Butcher, the late Pat Moores, Irene Hewitt with the late Tony Guyon behind her, June Brown with Annie O’Brien ( Archer) and Pat Noble. It was a very proud day for everyone who was and still is involved in the project.